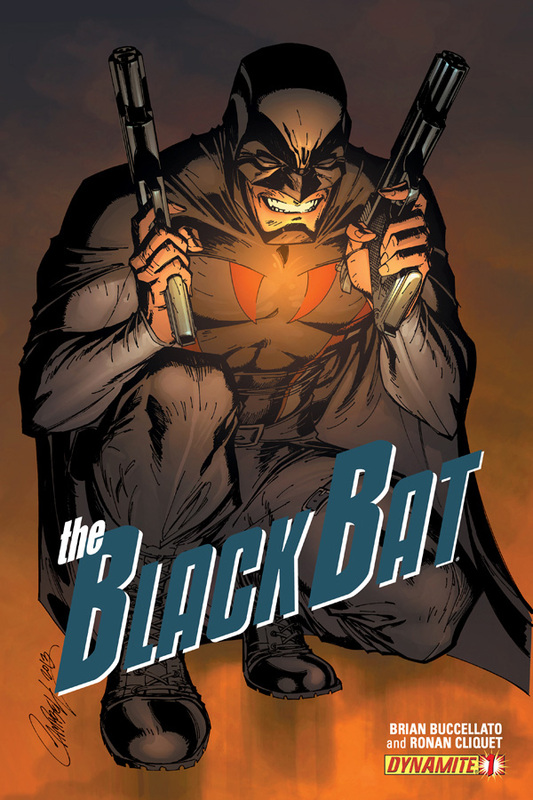 The Fellowship was fortunate enough to obtain a copy of THE BLACK BAT #1 from Dynamite Comics. Brian Buccellato writes and Ronan Cliquet draws. Tony is a lawyer, and the son of a DA, who made (at least) one big mistake, and it cost him dearly. But he’s got friends, and now he’s got new eyes that are, well, distinctive. He doesn’t plan to make the same mistake again, but he’s got a crimelord problem that he has to deal with. And he’s also got some folks who are very curious about whether he can resolve the problem. Dynamite has found another hero to add to their growing list of pulp revivals. This one has got a fun twist, though, with the eyes; there’s some good story potential in how he got them and what they do. But this first issue plants the Bat in the middle of a fierce battle with a cop hater, but takes the time to plant some possible allies for the future. That’s just good storybuilding. I really like the art, too; the eyes are absolutely creepy. The good news is that I think Dynamite has another pulp hit on their hands. The bad news is, well, I can’t think of any J. Check this title out, folks. 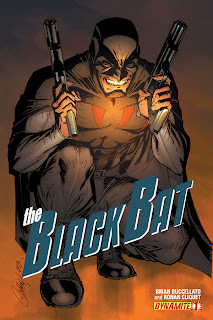 THE BLACK BAT #1 is available now at your FLCS or by order at dynamite.com.